Americas Best Value Inn Hammond offers the most value for your money when staying for business, pleasure, or just passing through. We offer clean spacious deluxe rooms, standard rooms, free continental breakfast and coffee in lobby, barbecue grills, picnic area, and Wi-Fi throughout the property. All guest rooms include a microwave, refrigerator, flat screen TV, cable TV channels, and ESPN. An iron and ironing board are available at the front desk. Our seasonal swimming pool will be closed October 1st- April 1st. There is a free guest laundry facility open 24 hours with laundry essentials sold at the front desk. Take advantage of our extremely comfortable beds and relax while saving money year-round with our Kids Stay Free Policy (17 and under in parent's room). For those guests that are in town on longer term corporate assignments or business trips we also offer special weekly and monthly rates, as well as direct billing options. For your convenience our hotel offers both smoking and non-smoking rooms. Pets are welcome, restrictions and charges apply. We are conveniently located near to Southeastern Louisiana University, Carter Plantation, and the Global Wildlife Center. We are less than 1 mile from the intersection of Interstate 55 and Interstate 12. 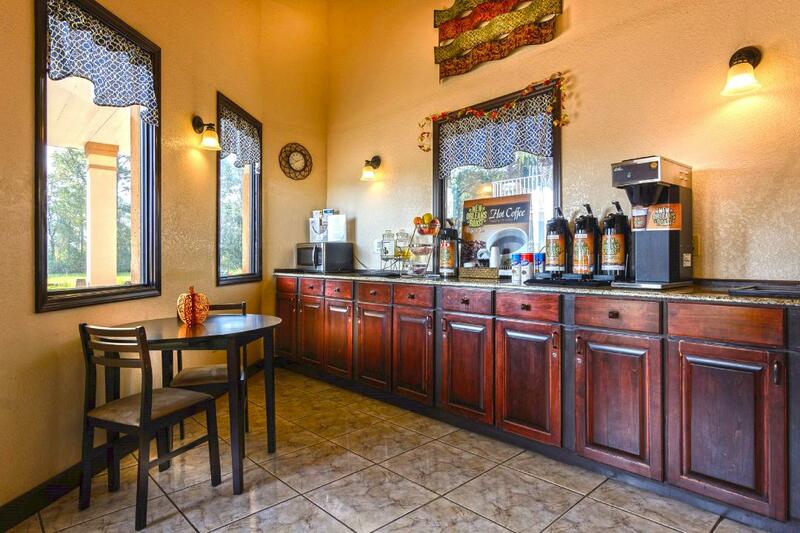 Americas Best Value Inn Hammond is your best choice within the Strawberry Capital of The World. 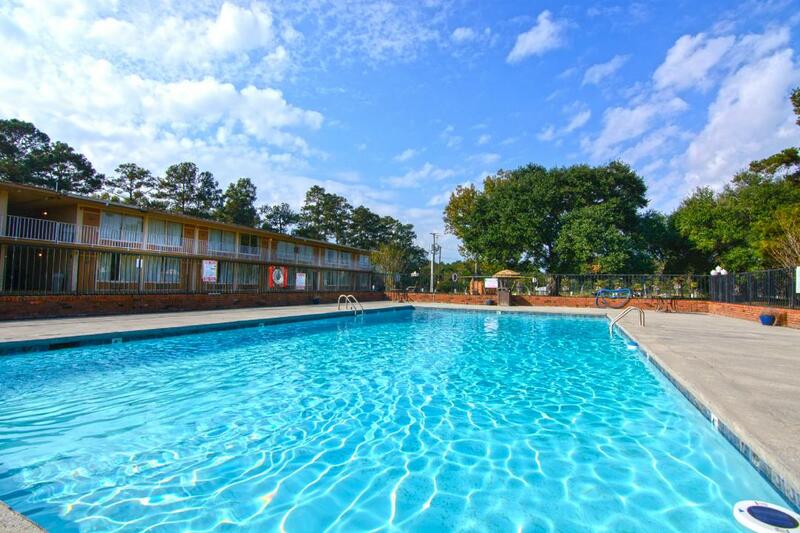 We offer ideal accommodations and location whether you are in town for sightseeing, boating, fishing, or simply passing through on your way to Baton Rouge or New Orleans. At Americas Best Value Inn Hammond our goal is to provide our guests a great experience, not just a place to stay. At Americas Best Value Inn Hammond, We've Got You Covered from the time you hit the road until your head hits the pillow. Free continental breakfast and free coffee in lobby. Buddies Bar and Grill, 0.5 mi. Santa Fe Cattle Company, 1.5 mi. Jimmy John's Gourmet Sandwiches, 1.8 mi. La Carreta of Hammond, 2.9 mi. Check out these Hammond attractions during your stay. Hoover Soccer Complex, 0.4 mi. Hammond Golf Center, 1.4 mi. AMC Hammond Palace 10, 1.3 mi. Hammond Square Shopping Center, 1.6 mi. Safari Quest Family Fun Center, 2.2 mi. Hammond's Dreamland Skate Park, 3 mi. North Oak Park, 4.3 mi. Chappapeela Sports Park, 5.4 mi. Hammond Area Recreation District. 5.4 mi. Ponchatoula Area Recreation, 5.8 mi. Harvey Kliebert Farms, 2.1 mi. Downtown Hammond District, 2.8 mi. Louisiana Children's Discovery Center, 2.9 mi. African American Heritage Museum, 3.8 mi. Louisiana Treasures Museum, 5.6 mi. Louisiana Renaissance Festival, 8.9 mi. Joyce Wildlife Management Area, 9.2 mi. Ticfawa State Park, 15.7 mi. Global Wildlife Center, 22.1 mi. Lake Pontchatrain Maritime Museum, 23.6 mi.